Primarily used in the southern bayous of Louisiana and surrounding river systems. It has been kept under covered storage. All manuals included. Less than 80 hours, service is up to date. Very well equipped and clean. Stock #158357 Custom built fishing machine! Low hours! Loaded and ready to hit the water today! If you are in the market for a flats boat, look no further than this 2016 Custom Built 18 Bowfish Mud Duck Fish Frog, just reduced to $17,500 (offers encouraged). 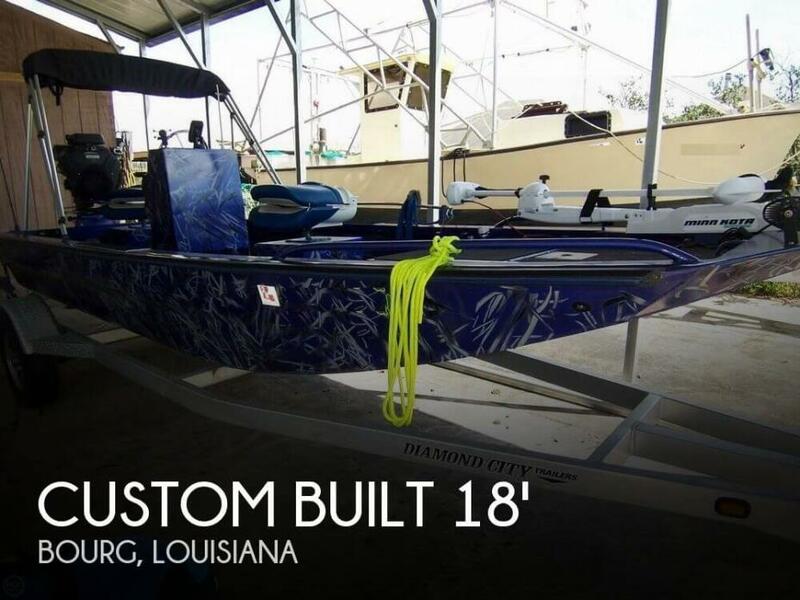 This boat is located in Bourg, Louisiana and is in great condition. She is also equipped with a Vanguard engine that has only 77 hours. Reason for selling is too many boats. You are bidding on a 1991 All aluminum crew boat in good operating and running condition. The Velvet Drive Clutch has been completely overhauled. Wheel, shaft and rudder are in very good condition and not bent with little or no vibration. 1991 All aluminum crew boat Built by Fairey Marine 4:53 GM Diesel Freshly overhauled Velvet Drive reduction gear 2.91:1 reduction One ton davit Towing Hitch Heavy Duty Rubber Pushknees Heavy Duty Rubber Molded Rubrail New Batteries Solar panel charger New VHF w/Hailer Located in South LouisianaWe will provide loadout of the boat onto your transport truck or trailer. We may have a trucking company that can haul her to your location at your cost. Let us know if you want a quote from them. Please feel free to email me or call me with any questions. cgonsoul@gmail.com 850-255-5266 Happy Bidding! !